Home Soccer Sergio León: "The club told me it would be difficult to bring another ..."
Sergio León: "The club told me it would be difficult to bring another ..."
The Betis striker admitted that he was out: "I had decided to go on loan, but they convinced me, after the Cup goal, everything changed". 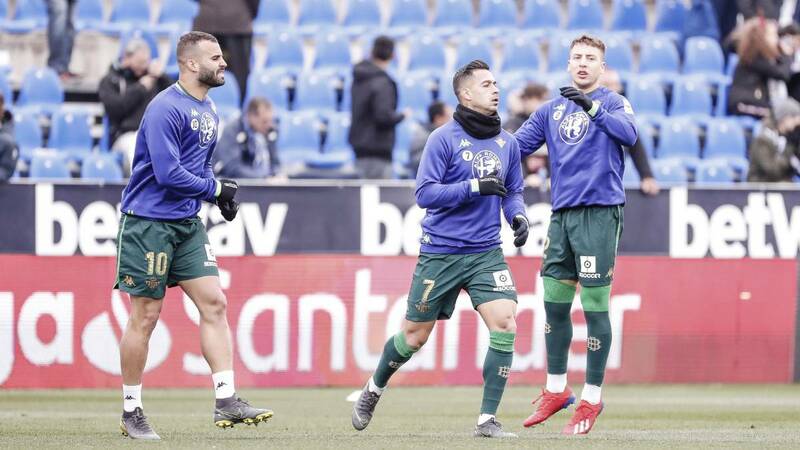 Sergio León is one of the protagonists of the current Betis after a few days full of unknowns that began with the possibility of an exit and ended with a key goal in Cup that allowed the passport to the semifinals of the competition. The Cordovan spoke of all this in an interview with the official media of the club: "They were hard times." The day I scored in the Copa I thought it was my last game, I had made the decision to go on loan. I tried to enjoy it and at the end of the game it all came to my head, I thought it was my last game, then everything changed: there was a meeting with the club and he asked me not to leave, it was going to be difficult to find another striker. Before that happened to my club, I tried to stay, I'm where I really wanted to be, I preferred to stay before hurting my club, they convinced me, it's football. " Equality: "There are teams that should be higher and they are not. All teams are strong both at home and away ". Europa and Rennes:" We are well positioned in all competitions. There is a very nice month and we want to go far. We are also one step away from going to a final. We will have to go to Mestalla to win. Tomorrow we will start preparing for the Rennes match, we want to win to have it easier here in the round ". Personal Moment:" I am happy to have minutes again and try to catch the rhythm of matches. I did not play what I would have liked, but I did train well, although in the games it costs a little more. I still have to keep playing to try to score goals. " Sentimiento:" I am a Bético more fortunate to be able to defend the shield. I had the call from my agent that Espanyol was going to sell to Baptistao. I was between Celta and Espanyol, I liked both. I would have decided to go to Espanyol surely, and I joked with Javi López and Sergio García before the duel butler: What if I eliminate you now before going there? I am a professional, in that moment I defend the team that pays me. " Protagonismo:" I want to continue working and have opportunities to do the best I can. When they applaud and chant my name, it's a very nice moment. I know I have the affection of the fans, that is important when deciding to stay. I received a lot of affection ".